Instead of enjoying and celebrating our country’s independence in New Jersey this weekend, we were instead reminded of how arrogant, insensitive, uncaring, two-faced, and self-centered politicians can be. I have other words in mind but choose not to use them here. It seems our governor decided to shut down the government this weekend because he hasn’t been able to get some revisions he wanted on a health bill. This is a typical Chris Christie move. He doesn’t get what he wants so he bullies people and tries to intimidate them. It’s what he’s done to teachers and other union members for the last eight years. If there’s anyone alive who had any doubt he was behind Bridgegate then you must be a member of his immediate family, though I’m not sure they have much use for him either. Of course shutting down the government means that all state parks would be closed during this long holiday weekend. One of those state parks is Island Beach State Park where families go to enjoy the beach. Since it was closed, families had to find other, more expensive alternatives if they wanted to visit the beach. But wait, not all families were inconvenienced. 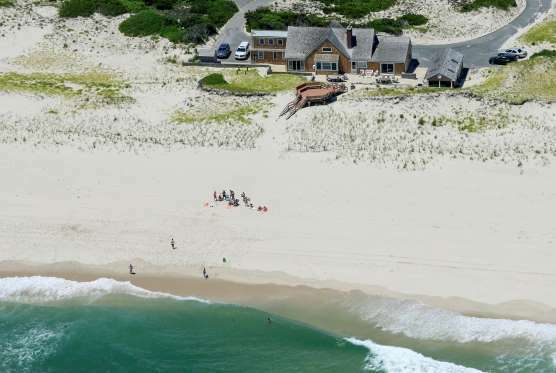 It seems the state provides the governor access to a home on Island Beach State Park. 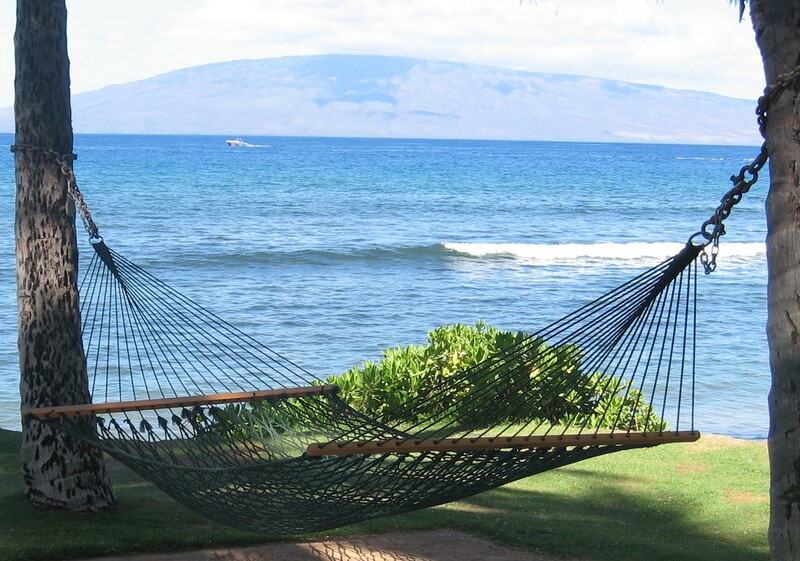 Of course the home comes with access to the park and beach. So guess who decided to bring their family to the beach this weekend, sit on the sand and smile at the cameras? You guessed it. 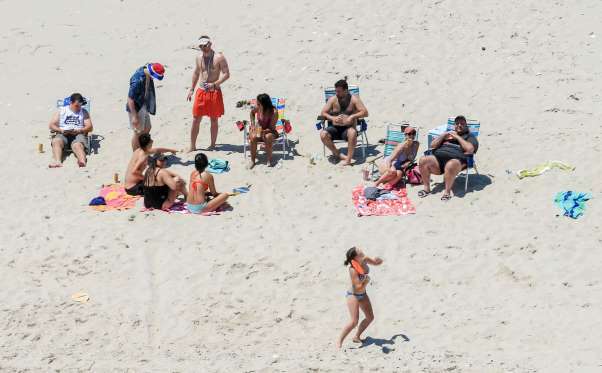 There’s our governor and his family in all his self-centered arrogance, sunning himself on an empty beach, while taxpayers were not allowed in. I’m convinced the word scum was created for people like him. This entry was posted in Politics and tagged Arrogance, Chris Christie, Government Shutdown, Holiday Spirit, Life, Politicians, Politics, Scum, Thoughts on July 3, 2017 by George. Your opinion is shared by most if not all. I figured the beaches would be unusually crowded because of this. So instead of NJ residents paying 10.00 for a car to get onto IBSP, families have to pay 8.00 a person to get on a beach. But scum doesn’t care. Thankfully his term is up at the end of the year. His approval rating is 15% which will probably go down significantly after this. It’s the lowest rating for any governor in modern history. On a brighter note, Ocean City is great for families. When we go down for the day we go to Belmar. If we’re going to spend a few days or rent a house for the week, we either go to Avalon/Stone Harbor or Cape May. I cannot make up my mind whether individuals like that are really stupid (they don’t realize that in today’s society, very little will escape a camera lens), or just plain arrogant with the belief that they are “untouchable”. Of course, with the trend being set by your Pres., perhaps I should conclude “individuals like that” are in fact both stupid and arrogant? Pretty much, though in Christie’s case, he smacks of arrogance. Wow. I can think of a few choice words to describe a guy like that too! I saw that news article, with accompanying pictures this morning and I was outraged. I can’t imagine the outrage a New Jersey resident must be feeling. That was the best use of drone technology I’ve ever seen! I think some people thought itself just a joke until they saw the photos and his interview. Outrage is a good word, along with some unprintable ones. I’ve decided I’d be much happier if I ignored the news. I got caught up in the last election, which made for good conversation between John and me. We agreed on everything. I am sickened by the behavior of politicians and abrasive voters. Where are the good, decent people? They’ve got to be still here in the country. Somewhere. OK. They are like me, silent and invisible. We don’t speak up, because we don’t want to be vilified. How can we make the nasties self-destruct? Too bad, that this is the example that the governor shows. Is in it the majority of NJ voted for him? I am not sure how he got elected and the process in NJ, US. I’m not sure either but he’s done a good job of destroying his reputation the last few years. Power and greed destroy everyone. I didn’t realize you were a neighbor! Your vacationing spots are the same ones I go to. I saw the news brief and thought it was typical Christie. I didn’t realize that either. I love the southern part of the shore. It’s quieter, more families and lots to do. Wildwood is a little sketchy at times but it’s a great Boardwalk. That’s a great way to describe him! What a jerk. All I could think of when I read it in the news was, “And this man was running for president.” Glad I don’t live in NJ. We have enough problems. He’s been a jerk for a very long time. And yes, he ran for president and had support. Not surprising. Are you kidding me – 15% – people have been elected to the Senate on less. I mean he’s not elected for life so at some point people have re-elected him. We have a State Government that has created a state with the highest unemployment, in the commonwealth, the lowest investment, a government that is a good socialist, borrow and spend government, – half the government departments are in crisis and the other half are just waiting their turn, but hey, we have re-elected this government 5 – that’s Five – times. Australian joke: “Why does South Australia have so many incompetent Ministers? Answer; It’s the fastest way to get promotion.” I don’t know your Governor and you don’t know my State Government, but it would seem we have similar concerns and it seems to me the more incompetent and arrogant a politician is, the better his/her chances are of being elected. What’s wrong with us George, why do we keep electing these clowns? I don’t know the answer to that questions, Edgar. But if we keep doing it then we get what we deserve. Shame on us for believing and voting for the same garbage. Even worse, shame on those who don’t vote at all. We have visited several sets of friends in Oz on two occassions, and when we found out about compulsory voting, we thought it was brilliant! That would never fly in the USA right now where the GOP is all about suppressing votes. But maybe after the Democrats take control in 2018 and 2020…?? If I was in his family I would have been too embarrassed to be on the beach with him. So you have to wonder about his wife and kids as well. Absolutely. I don’t think I could have walked out there knowing. But then again, there used to his arrogance. What an absolute disgrace. My husband regularly quotes CC as the epitome of vile bodies. I am speechless at this latest development. On top of that I am sorry for the good people of NJ whom this scumbag is supposed to represent. Can’t someone just drown him? 2. A staffer warned him and he didn’t give a #$%^. Our governor (Minnesota) defunded the legislature when he didn’t get his way. Whatever happened to moving on when you lost a vote? You’re right about the real outrage. The reality is he just doesn’t care. He’s that arrogant and self centered. When his press secretary was asked if he thought it was a good example to the taxpayer that he was getting sun on an empty beach that was closed, his response was, “He wasn’t getting any sun. He had a baseball cap on.” None of them care, especially since he only had a few months left in his term. And you’re right about moving in. Some people just can’t let their egos accept a defeat or someone saying no to them. Yes – the governor has a house in the park with access to the beach … yes, he has the right to go there any time he wants – and even access the beach any time … then again, the aspect of common sense is another story. Common sense and this governor never met. I am rarely at a loss for words, but this one did it. At least not words that I want to leave in the comment section of a good blogging friend’s blog. Hopefully, he will be voted out very, very, soon. We share the same words, Ann..:) thankfully his term expires in a couple of months. We have given everything over to the bullies it seems. What a sad testament to our national psyche. And yes, I once heard a preacher say we get the government we deserve. We must be very very bad right now. It’s getting harder and harder to remain upbeat about the direction our country is headed George. Hope you had a nice fourth regardless of the arrogant display by your elected representative. Maybe someone needs to remind him of that. My mother always said pride comes before a fall–but how much further can he fall? Ick. I apologise for being late to your Fourth of July post, George. A week before this holiday, I pre-scheduled posts and told my friends I was off to Cleveland and visiting my Mom and then back on July 7th for my oldest daughter’s wedding at City Hall. Her first wedding was supposed to be elegant and we all contributed to it several years back, I have the dresses for the “wedding” (female) “party” which didn’t happen. Groom got cold feet, sadly. It was such a beautiful and simple service and out small town Mayor Carolyn Riggles cried with us! Anyway, this should be against state Constitution and someone should find out how to change this!! Parks are meant for the public, especially the average people (like me) who cannot afford a pool membership!! Hope your family’s Fourth of July was fantastic, 🎈 🎆 🇺🇸 despite stupid Chris Christie! This was really an in your face to the people of they state! Remember that he was a big supporter of another arrogant politician. Yes it was and yes, I remember all too well. It really is hard to believe. You can’t make this stuff up. Now, now, George – your tri-state is showing.